I am one of the lucky few people that have had the chance to actually visit Antarctica. Trips to Antarctica are simply amazing and I really cannot wait to see if I get the chance to go again. I thought long and hard about how to plan for my trip, but I thought it might be a good idea to talk about these things in the following post to make it easier for any potential Antarctica visitor to follow, so read on to find out more. This is always a hard consideration, especially with things like taking time off work. I personally went for 3 weeks and it was great, but I suppose that you can never get enough of trips to Antarctica. The scenery is just as good as the pictures, if not better. Go for as long is possible, because it is very likely that you will only get one chance to do! It is also important that you factor in the time that you will be crossing the Drake Passage, which usually takes a few days, but will depend on the ship you take. This is of course very difficult to say, but the point is that going to Antarctica is not going to be cheap. I would highly recommend talking to a number of tour operators and seriously weighing up the options, because no two cruises are the same. This is a very individual trip that you want to get right, so proper planning about costs is important for getting the best bang for your buck. You absolutely need the best camera possible for travel to Antarctica. I personally saved up especially for the trip and now I have photos that I can cherish forever. 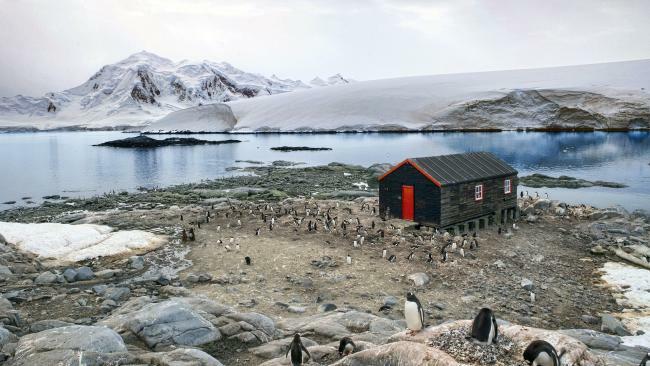 Most people don’t get the chance to travel to Antarctica, so if you do, you want to make sure that you get some incredible photos to go with the memories. A set of good quality Binoculars will also be a great idea for seeing wildlife and the landscape from afar. These are particularly useful during the whale watching season in the later months of the summer. This is extremely important because there are advantages and disadvantages of large and small ships. Something I thought about was that going ashore and with the larger ships, this is usually not possible to do so for logistical reasons. If your ship has less than 50 people, it is much more likely that you will be allowed to get off the ship and look around. This will depend solely on the tour operator, so it is important to check with them. It is important that the cruise that you are on is a member of the IAATO (Antarctica tour operators association). This is a voluntary organisation that aims to set standards for tour operators to follow to ensure the preservation of one of the most unique places on earth.